10. True prayer does not preach to God. It does not lead by the hand, but reaches for His guiding hand. 11. True prayer has more to do with God than man. It is wrapped up in holy concern for the glory and kingdom of God. 13. True prayer does not focus upon itself or the petitioner. It does not turn inward for morbid introspection, but turns inward to bring all the sinner’s deadness and depravity outward and upward to the Almighty God of grace. 14. True prayer lets God be God. It empties its hands and heart before the open throne of God. It hides nothing. True prayer is not explanation but peitition. It doesn’t tell the Lord how to convert a sinner, but asks Him to do it, trusting He knows better than any petitioner. 15. True prayer spreads out everything before the Lord as if He knows nothing about the sinner’s condition, yet knowing that the Lord knows all. 16. True prayer conjoins holy reverence and holy familiarity with holy boldness. 17. 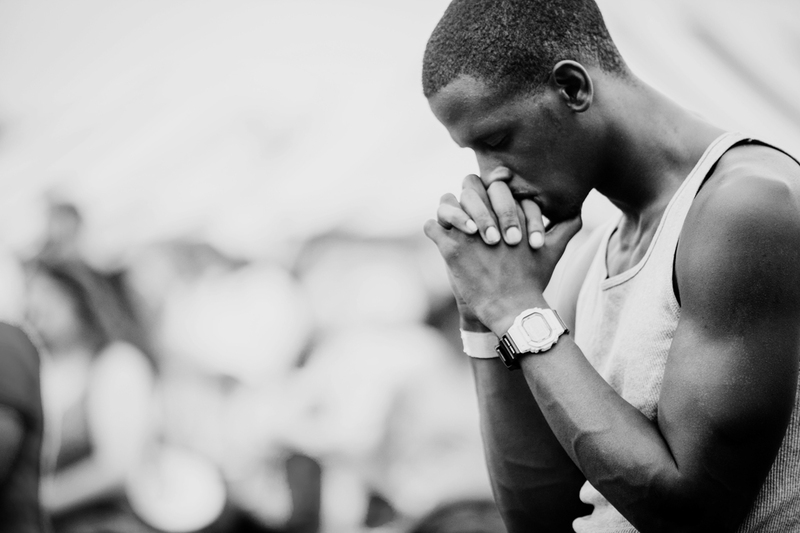 True prayer is not self-congratulatory, but self-condemnatory and Christ-congratulatory. 18. True prayer recognizes that it changes neither God nor “things,” while simultaneously realizing that God often is pleased to reach His purposes through the means of prayer. 19. True prayer is fellowshipping with God. It is a foretaste of heaven’s eternal conversation. 20. True prayer is not a flurry of words in an ever-spiralling height of voice, but it is a matter of the heart in an ever-spiralling depth of meditation and pause before God. 21. True prayer ever feels that it is not sufficiently true, deep, thorough, and unbosoming. 22. True prayer, when neglected, is like an untapped power line, a disconnected computer, a system broken down. Valuable information neither descends or ascends. 24. True prayer measures no need too great or too small. It neither assumes human probability nor flinches in the face of human impossibility. 25. True prayer senses the presence of divine majesty and human dust-and-ashes cohabiting. This cohabitation causes the sinner to take his shoes from off his feet, for the place of true prayer is holy ground. 28. True prayer brings particular requests and waits for particular answers. And they shall be answered – perhaps not immediately, but God’s delays are not His denials. Scripture does say of the Canaanitish woman’s first pleading, “But He answered her not a word,” but it does not say, “But he heard not a word.” True prayer is never lost, even if it be forgotten. “God never denied that soul anything that went as far as heaven to ask it” (John Trapp). 29. True prayer “brings God into the heart and keeps sin out. . . . Prayer is knowing work, believing work, thanking work, searching work, humbling work, and nothing worth if heart and hand do not join in it. . . . Want felt and help desired, with faith to obtain it, is prayer. . . . One prayer is worth a thousand fine thoughts . . .” (Thomas Adam). 30. True prayer is bathed in faith. Faithless prayer is fruitless prayer, no matter how sincere it may be. True prayer is the fruit of true faith and true faith is the fruit of true prayer. Faith and prayer are best of friends who build up each other for they have a common goal – the glory of the worthy, Triune God. 32. True prayer for others also reaps great benefits for the petitioner in a feeling sense of his own closeness with God. True prayer can’t intercede explicity for others without praying implicity for one’s self. 33. True prayer is a joy in itself even when the answer to come may appear to contradict the very petitions offered.